What is NYLT? 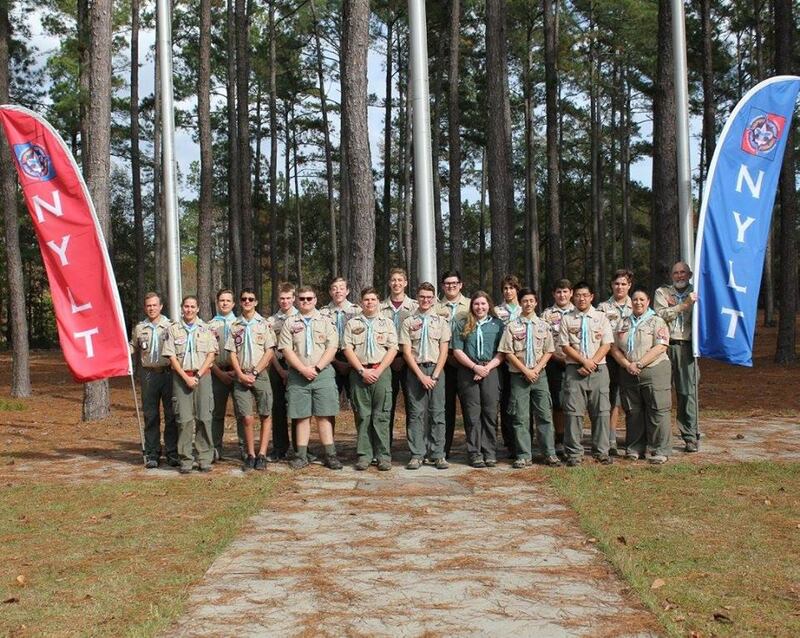 The training of youth leaders in the Unit is important in helping individual Scouts, Venturers, and the Unit grow. The Boy Scouts of America has developed a six-day training experience, the National Youth Leadership Training Course (NYLT) that has proven valuable in the training of youth leaders. The course will stress the skills of leadership that will make youth leaders more effective in their Unit leadership positions. Perhaps more importantly, the Scout or Venturer will be exposed to living skills that will allow the Scout or Venturer to become a successful leader in any organization. This course will provide the youth with the tools that are needed to foster leadership potential. The skills taught will immensely facilitate the Unit Leader’s leadership development of the youth and directly benefit the Unit’s program. To enhance the relationship between the participant and his Unit Leaders. To give participants a basic knowledge of the skills of leadership and help them relate these skills to their Troop or Crew responsibilities. To give participants the opportunity to share ideas and experience with youth from other Units. To give participants the confidence and knowledge to run the Unit program. To create an atmosphere where Scouts and Venturers will experience Scouting at its best. Qualifications: Any Scout who participates in the course must be at least a First Class Scout and 13 years old (but not yet 18), and a Scout that the Unit Leader feels is mature and currently filling a Unit leadership position or likely to assume a leadership position in the near future. The Scout may only attend on the Unit Leader’s recommendation. It is important that the Scout have camping, cooking and hiking skills. There is no rank requirement for Venturers – but a recommendation from your Crew President or Advisor is required. The first weekend starts on Saturday, January 19th at 11:00 am and ends at 5:00 pm on Monday, January 21th (Federal Holiday), 2019. Start and end times may be adjusted. The second weekend starts at 4:00 pm on Friday, February 1st and ends at 5 pm on Sunday, February 3rd, 2019 Start and end times may be adjusted. Please check the council website capefearcouncilbsa.org under resources for additional information or contact me, Martin Scott at cmscott@wwsfirm.com.